"Amazing! Mike and his team are awesome to work with. He is professional, trustworthy, passionate and great at what he does." Amazing! Mike and his team are awesome to work with. He is professional, trustworthy, passionate and great at what he does. Ashley went above and beyond to make the home buying process easy and enjoyable. I would strongly recommend them to everyone. "Huge blessing to have met Mike and team and will continue to work with them and refer them business for the foreseeable future." I've personally met countless realtors and their teams and honestly have been impressed by few. My first time meeting with Mike and his partner Ashley I was blown away by their professionalism, everyone wants to be apart of a winning team and you can just tell they are winners and have it dialed in. I've been in sales for 6 years and know that it's easy to promise the world and have a great first experience but to walk a client all the way through a multi-month long process and continue to provide the same world-class experience is rare. Huge blessing to have met Mike and team and will continue to work with them and refer them business for the foreseeable future. "Mike Chiesl and his team are champions at the part of real estate business that means the most: customer relationships." Mike Chiesl and his team are champions at the part of real estate business that means the most: customer relationships. Let’s be honest, most home buyers are stepping into a world of anxiety, risk, uncertainty, and most importantly, one that means an enormous commitment of their time and savings. I’ve stepped into that world on three separate occasions with the Chiesl Team and the feelings have never changed! But fortunately for myself and those whom Mike and his team have served, the Chiesl Team bedrocks their relationships in honesty, trust, and loyalty. Mike is a leader of classy men and women of impeccable character, and that is why – time and time again – I have felt my anxiety recede, my risk wane, my uncertainty dwindle, and always thought the Chiesl Team matched my monetary commitments with an equally passionate commitment of their own. The Chiesl Team has guided me through three home purchases and one home sale, in both turbulent and steady times in the market. Their advice has always been honest and insightful, and when Mike has said, “This is the one for you,” I can’t emphasize enough just how right he was. It takes vision to predict success in the market like Mike has, which doesn’t come without steady analysis of every tangential aspect of local real estate. Whether you’re picking the place you want to retire or beginning to climb the investment ladder to get you there, Mike Chiesl is a man you want working for you. He has my absolute trust, my utmost confidence, and my strongest recommendation as the right fit for any buyer or seller – particularly one who values an experience in which you feel like the man working for you wholeheartedly cares. "Mike, simply put, is topnotch." Mike, simply put, is topnotch. He is extremely well-versed in complex real estate transactions and consistently outperforms the competition with his knowledge, creativity, and discipline. Mike upholds the highest standards of integrity, and as a client I always feel well-informed and know that he understands and thoughtfully protects my interests. I’m always happy to have Mike with me in the trenches through any real estate transaction. 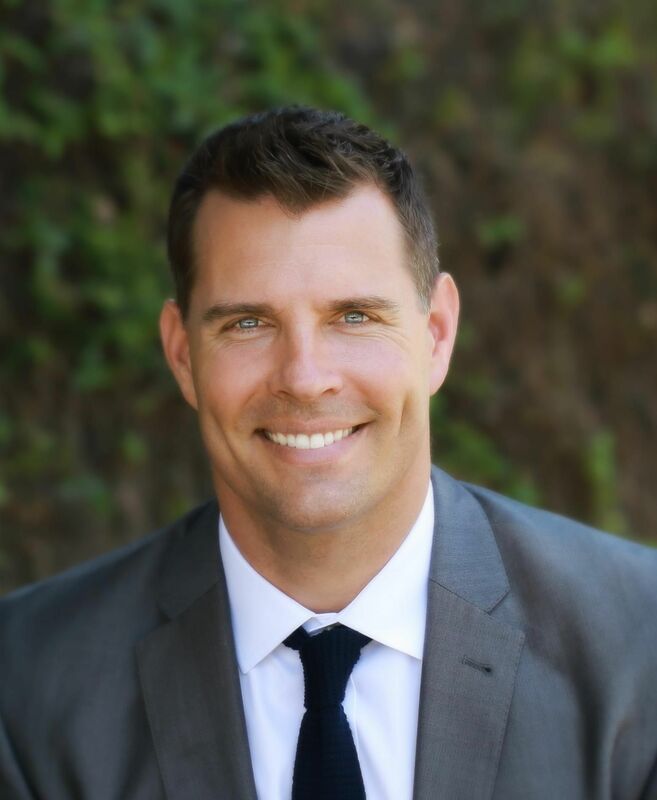 In my opinion, there is no better real estate agent in San Diego. "We would recommend their services to anyone, whether a first-time home buyer on a budget or a seasoned investor looking to grow wealth." Mike Chiesl is a force to be reckoned with. He leads a team of professionals with the knowledge and work ethic to go above and beyond the rest in helping clients find the right home for their families. Their attention to detail, loyalty, and patience were paramount in helping us ultimately find and close on our first home. Not only do they know the market inside and out, but they also treat each of their clients with a level of care seldom seen in today’s cutthroat real estate market. We always felt in control during the process and we knew Mike was our advocate. We would recommend his services to anyone, whether a first-time home buyer on a budget or a seasoned investor looking to grow wealth. Thanks to Mike, we got a great deal and had a lot of fun in the process! "We firmly believe that were it not for Mike and Dan’s indefatigable work ethic, we would not be home owners today." Mike turned our dream of becoming homeowners into a reality. We began our exhaustive search in August of 2009 and celebrated close of escrow on October 12th. This may seem inconsequential, but was no small feat based on the real estate climate and other challenging elements intrinsic to our search. Despite what many may think, fall of 2009 was an especially difficult time to buy a home in Southern California. Drastically reduced home prices led to a saturation of buyers and not enough supply to go around. We were set on buying a Craftsman fixer in the North Park area of San Diego and found that every offer we submitted was eventually joined by 5- 10 other offers. This was extremely discouraging to us, as we were first-time home buyers, but it only fueled Mike and Dan further. They showed us each home with the same zeal of our first showing and submitted each offer with increased expeditiousness. In addition to the highly competitive market, we also faced the difficult task of discerning which properties were appropriate for us. Many of the homes that we looked at were severely distressed foreclosures, and while my husband and I aren’t afraid of hard work, we knew little about the extent and costs associated with overhauling a home.Mike continually stepped in with building, rehabbing and general contracting expertise to steer us away from the money-pits and towards good homes. We firmly believe that were it not for Mike’s indefatigable work ethic, we would not be home owners today. Our home is located in a picture-perfect North Park neighborhood, close to restaurants, shops and schools. While our home needs a lot of work, we are confident we will eventually return it to its original craftsman glory. This would have been impossible were it not for Mike’s skill as realtors and expertise as contractors. We not only bought a house from Mike, but they also helped us build our home. "If you are considering purchasing a home or property, they will work hard for you too!" A note about Mike: His team is a winning combination! They gave me tools to stay abreast of the current market. When I found a place I wanted to check out, they researched the area for more places and found my dream home! They were always available. Which made it possible for me to be in the right place at the right time to purchase my new home! They are hard working, helpful and professional. They made the process easy and enjoyable! If you are considering purchasing a home or property, they will work hard for you too! Sincerely, a very satisfied customer. "We spend our weekends now fixing up what will soon be our dream home." Mike has a fantastic team. After searching for over a year with other agents, we finally found the perfect real estate team and the perfect home. Because of the extremely competitive market for our particular price point, we knew we had to act fast. Mike was able to show us the property just as it hit the market and they were able to draw up an offer electronically in a matter of minutes. We digitally signed the offer and it was submitted to the bank within an hour of seeing the property! Multiple offers on the property soon followed, but it was ours that was accepted because we acted so fast. Because the property was a foreclosure that was in need of repair, the team’s licensed contractor, was able to price out the cost of the repairs before we submitted the offer. We altered our offer price accordingly and we were able to get our home well below market value. We spend our weekends now fixing up what will soon be our dream home. We owe it all to Mike and team…thanks guys!